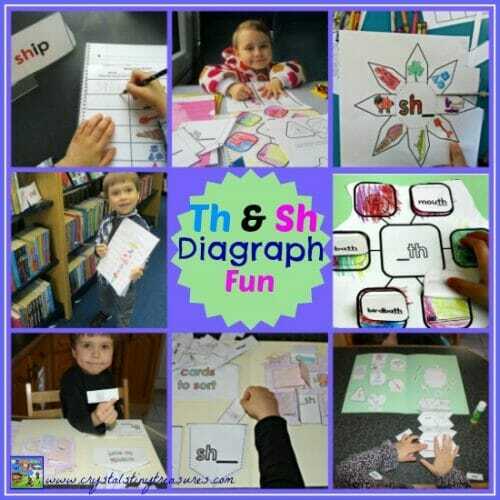 Ch-Sh-Th-Wh digraph resources for premium eMembers are described in this post. 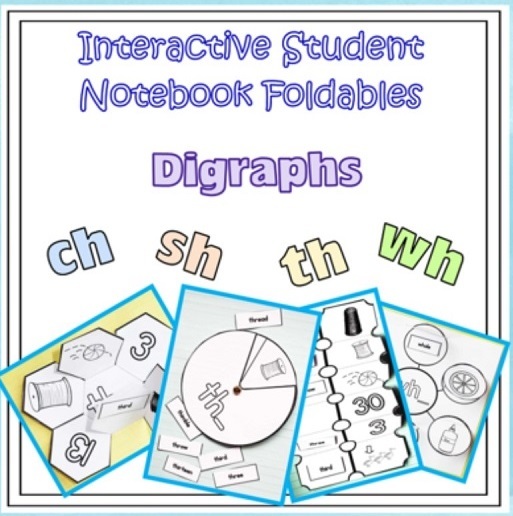 The printable has ch-sh-th-wh interactive student notebook foldables and teaching materials (ISN’s). The product is for teaching four digraphs and is named: Ch-Sh-Th-Wh Interactive Student Notebook Foldables and Teaching Materials. 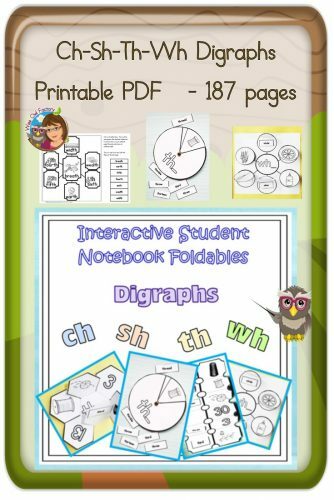 It includes 187 pages with student interactive foldables, read the room with alphabetizing, teaching materials such as pocket chart cards, letter sized teaching posters, and more. This product has interactives with suggestions for differentiation. No preparation other than printing for the teacher. 170 pages. 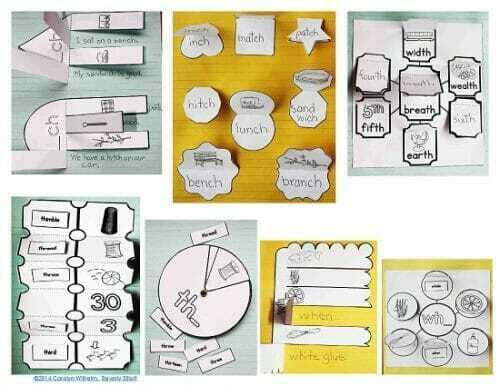 Kindergartners and/or emergent readers could write the sound, advancing readers could write the word, and independent readers could write a sentence under corresponding images on flaps. 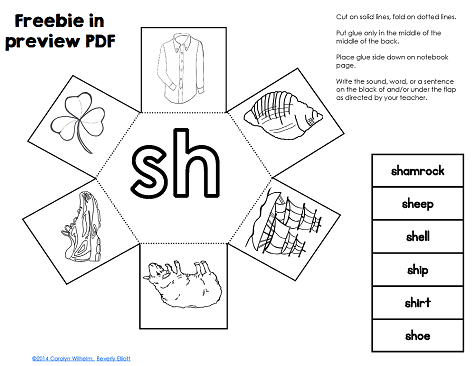 Designed for ease of use for students when the teacher is busy with guided reading groups. This is the link to Castle View Academy blog post written about this printable. She has more photos and information about this freebie. To sign up for the newsletter and gain access to my lessons log in page for free, please sign up on the right sidebar. Thank you! The product was made with art from Gramma Elliott’s Clip Art.